Morgan James Fiction, 9781683500018, 346pp. Extortion. Murder Plots. A Dogged Detective. Unpredictable Results. 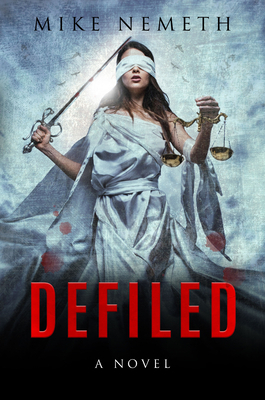 Defiled is the story of one unyielding man's quest for fairness from the justice system. Randle Marks refuses to accept a cookie-cutter resolution to his case and risks his freedom, and even his life, to pull the blindfold off Lady justice's eyes. When the human faces of the legal system--the judges and lawyers and cops--lose control of the case, the situation escalates into a dangerous battle between Randle, his unscrupulous ex-wife, and her capricious twin sister. Soon murders are plotted but whose plots are they and who is the real target? One of the characters is an undiagnosed sociopath, but which is it? Traps are set, but who will walk into them? Defiled is a twisted tale of treachery, betrayal and miscalculations leading to an astonishing climax. Mike Nemeth is a retired businessman living with his wife, Angie, and his rescue dog, Sophie, in the Atlanta suburbs. His previous publications include Cinderella's Slipper, a non-fiction book about the use of computer algorithms to rank college football teams, and The Missing Ingredient, an article published in The New York Times that explained why college football rankings are always wrong. Defiled is his debut novel.